I’ve got a new Twitter handle (why handle? Is it only used on Twitter and CB radio? How weird!) It’s @MrLambrettista and, if you do the Twitter thing I’d love you to follow me their. This is going to be 100% (well maybe 95%) scooter and scooter lifestyle related. Once I’ve got a bit of critical mass, I’ll start deleting the scootering links from my other twitter account (@crocodilejock) and just use that for my art, graphic design, typography, brand and marketing related posts (my day job). If that sort of stuff interests you, I’d love to keep you as followers here. Sorry if this all seems a little convoluted, but it will all start getting confusing if I leave it much longer. It also makes sense to link up the blog, the Facebook page and the twitter account under one ‘brand’. 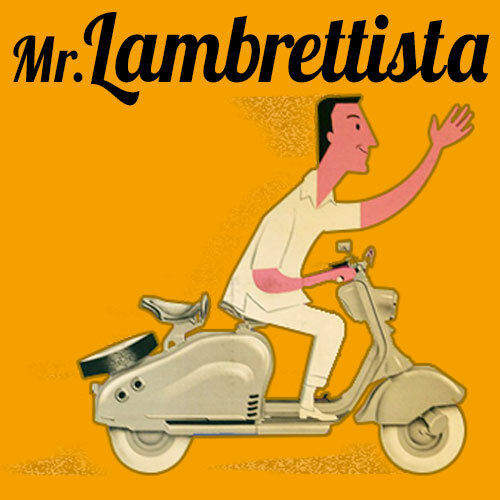 So the long and short of it is, I’d love you to follow me on @MrLambrettista and a big thank you to the 68 people that have followed me already! Lambrettista. Now with added Facebookyness. 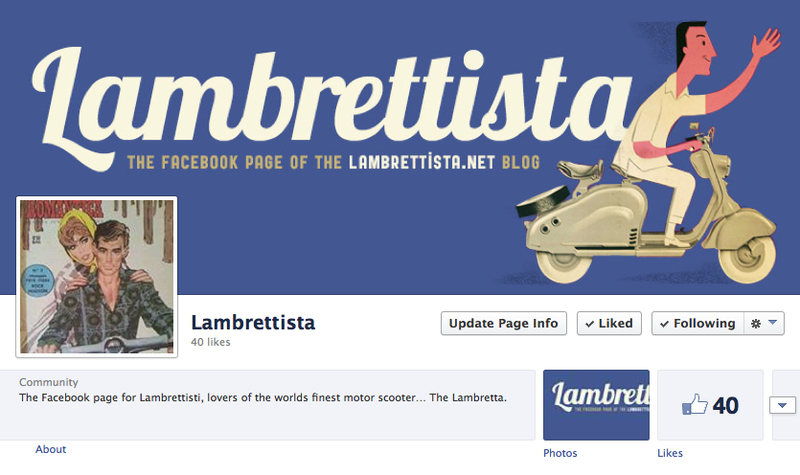 In exciting developments today*, it was announced that the Lambrettista blog (this one) was getting it’s own Facebook page. It’s here. So you can follow, like, Share and do all that stuff there, too. The WordPress blog aint going anywhere, and it’s where most of the detail will be… but I was getting a hell of a lot of traffic from Facebook, (Especailly when the nice people at Scomadi and The Rimini Lambretta Centre linked to my posts on their FB pages) it’s silly not too. *I know, it’s not exciting to anyone. Except me. A bit. 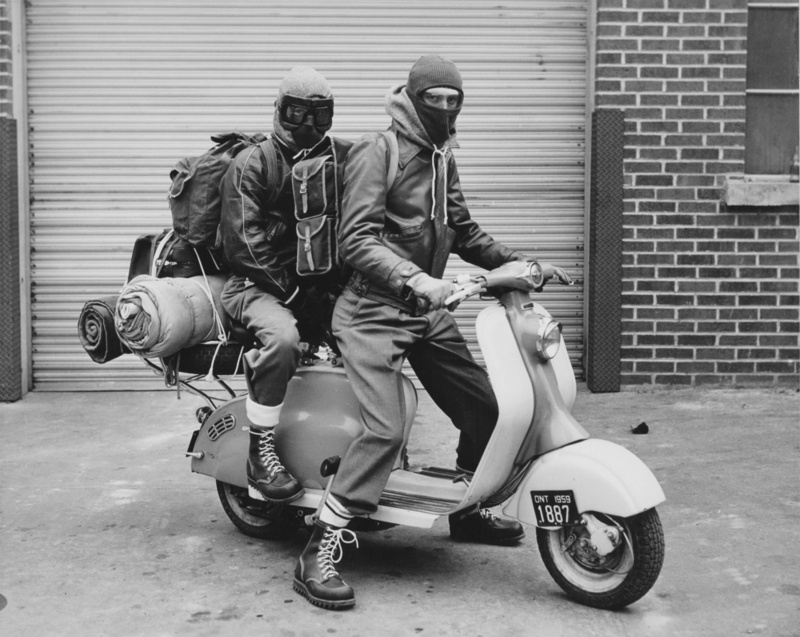 It’s not the SLS (Special Lambretta Service)… It’s Ron Bowman, and his mate, about to set off on the journey of a lifetime. 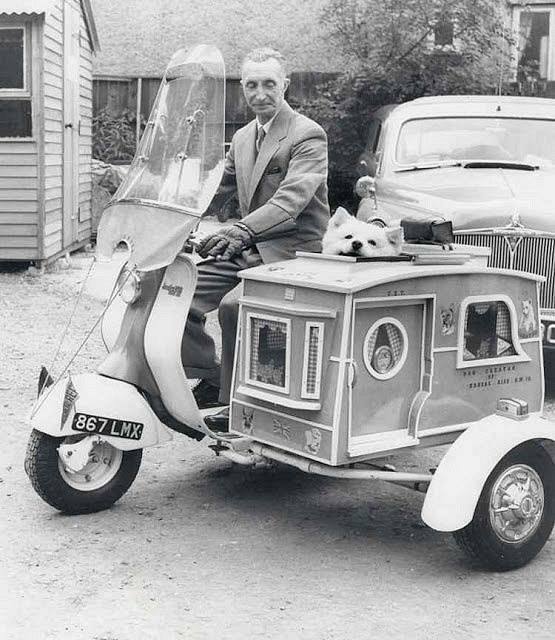 In November of 1959, Ron Bowman quit his job as a newspaper reporter, sold his car and bought a 150cc Lambretta scooter. He intended to ride it from his hometown of Thorold, Ontario, Canada all the way to South America. As far as he knew, no one had ever made such a journey, but he was gong to try. Along the way, he proposed to his girlfriend of three weeks, and married her. This is the story of Ron and Tove Bowman and their epic adventure romance through Latin America on a motor scooter, during a time when such a journey was virtually unheard of. No crew. No support vehicles. Just two crazy Canadians in love on a Lambretta, discovering the world, discovering each other, and having the greatest adventure of their lives. Their son, Gordon, recently found his dad’s manuscript and knew he wanted to share it with the world. He’s written a book and is planning to get it published through Kickstarter to crowd-fund it’s printing. He’s got a website with all the details, here and you can follow his progress on Facebook too. The Kickstarter page doesn’t appear to be up yet, but I’ll post a direct link to that too, when it is. UPDATE:The Kickstarter page is now live, you can help make this book a reality HERE. I’ve already added it to my Christmas reading list!